Trusted, quality auto repair in Steeleville IL since 1993. ASE certified Import and Domestic auto repair shop. Specialize in Diesel auto repair service near Steeleville IL. Auto repair has been part of the Mevert family since the 1950’s. My grandfather Al ‘Mousie’ Mevert and my father Tom Mevert both did auto repairs for the Steeleville community and built a solid reputation for quality, trustworthy auto repair and auto service. Today the focus of my business remains providing the quality of auto service that my dad and grandfather founded the business on. I do that by hiring the best ASE certified technicians I can find, providing them with continuous training to stay current on the latest vehicle technology, and giving these highly skilled technicians the latest tools and equipment available to diagnose, service, and repair today’s very complex vehicles. Mevert Automotive & Tire Center has been keeping Steeleville IL cars and trucks running reliably since 1993. We repair what’s broken, keep an eye on what could cause trouble, and can provide you with an auto service & maintenance plan to maximize your vehicle life. For auto repair near Steeleville IL you won't find a more trusted auto repair shop. 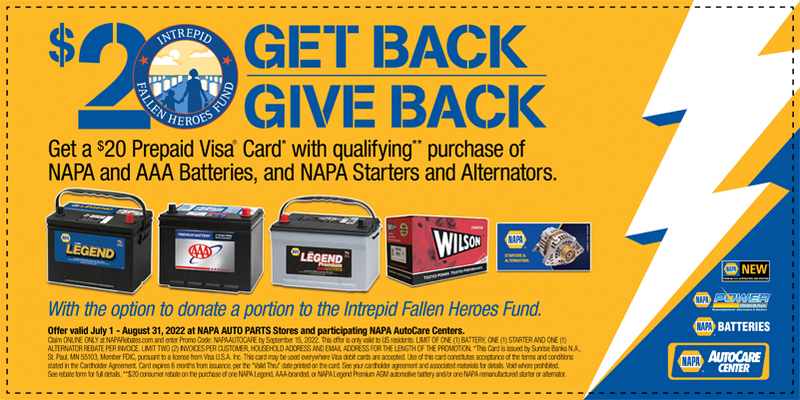 Mevert Automotive & Tire Center in Steeleville IL, is a certified NAPA Auto Care Center, we are able to provide the benefits of a well-known national organization while maintaining the personal touch of a family owned business. We understand that your vehicle is a major investment, and that is why we care for each customer’s vehicle as if it were our own. You get auto dealership expertise without the dealership auto repair price. Mevert Automotive & Tire Center is an independent, full service auto repair shop. We work on all makes and models, Import and domestic vehicles. Our specialization is diesel auto service and diesel auto repair. Mevert Automotive & Tire Center's auto service & auto repair shop features 4 service bays, easy access, lots of parking, clean reception and customer lounge. Come visit one of the most professional auto repair shops in Steeleville IL. Our ASE certified auto repair technicians use the latest auto repair technology and are equipped to perform all major and minor repairs. Mevert Automotive & Tire Center specializes in diesel auto repair and diesel service in Steeleville IL. Lower repair/service cost (faster, more accurate diagnosis & repair). Better service quality (factory training & support hot-line). Factory original parts (without high dealership price). You will get expert diesel service and diesel repair from our trained diesel repair technician. Get quick, convenient, economical diesel repair. We have specialized diesel tools and equipment to ensure your diesel auto is repaired correctly. Each time you have service done at our shop you will receive an amount of “Mevert Money” on your electronic rewards card in return. This “Mevert Money” can be used on your next visit to discount the actual cost by the amount of "Mevert Money" you have. It can be used for each service, or you can save it up and pay up to half of an invoice with it. "I am pleased with the service and time spent replacing front brake shows.and oil change.I appreciate the kindness shown there during their work alwayskeeping me informed of any problems or things that are bad." "I was extremely satisfied, and I don't think that the service I always received could be any better anywhere else. The entire staff from the front office to all of the mechanics is outstanding. Keep on doing what you are doing, and you will always be number one."